The Lennox Children’s Cancer Fund brought smiles to the faces of children who had to spend Christmas at Queen’s Hospital, by delivering sacks full of presents ahead of the big day. 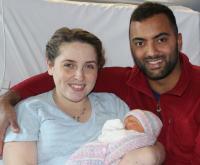 Read " Generous toy donation for children in ho…"
It was one of the busiest Christmases ever for new arrivals at Queen’s Hospital – with 25 babies born on Tuesday 25 December. Read " Queen’s Hospital sees 25 newborns arrive…"
If you or someone in your family needs care over the festive period there are lots of options open to you – including GP appointments available on Christmas Day and New Year's Day. Read " Know where to get the care you need over…"
Kind-hearted Frankie Cook may be just 10, but it’s down to her that all 482 children at her school took part in a ‘Reindeer Run’, raising hundreds of pounds for the King George and Queen’s Hospitals Charity. Read " Frankie, 10, gets her whole school raisi…"
What's it like to work on Christmas Day? In our line of work, spending Christmas Day at home with your family is never guaranteed as our patients still need care, even if it is Christmas! 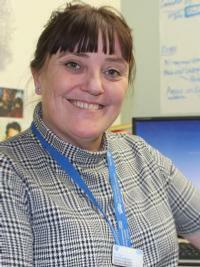 Read " What's it like to work on Christmas Day?…"
In Conversation With...our award winning Director of Nursing, Caroline Moore! We spoke to award winning nurse Caroline Moore for In Conversation With… this week. 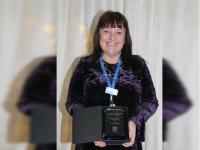 Caroline, who is our Director of Nursing for Specialist Medicine, recently won the Lifetime Achievement in our PRIDE Awards after 27 years at our Trust. Proud Caroline was nominated for the award by her own team, which shows how much they value her. She also once got to meet the Dalai Lama in Mumbai, which she said was spectacular! Read " In Conversation With...our award winning…"
We’ve celebrated the hard work and dedication of our staff at two special events this week. 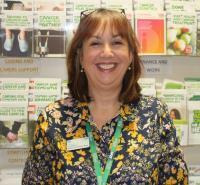 Read " Celebrating our wonderful staff…"
For our next instalment of our In Conversation with…series, we spoke to Alix Holmes, our Macmillan Cancer Information Manager who recently was presented with a long service award after 30 years at our Trust. Before taking on her current role six years ago, Alix was a nurse in our Oncology department, and was one of the first nurses to be trained to give chemotherapy to patients, early in her career. 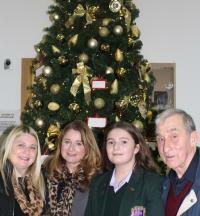 Read " In Conversation With...Alix Holmes, our …"
Talented Mae Flicker, 13, returned to Queen’s Hospital on Monday 3 December to turn on the Christmas tree lights and play festive tunes on the piano in honour of a lost loved one for the second year running. 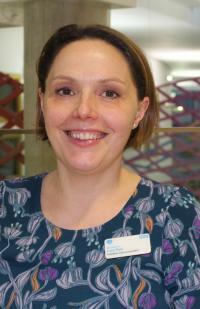 Read " Mae, 13, plays festive tunes and switche…"
Here is the next instalment of our series: In Conversation With… introducing Lucy Pain, palliative care consultant and our clinical lead for end of life care. 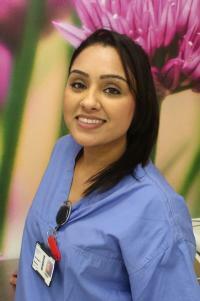 Read " In Conversation With...our palliative ca…"